Roof over roof systems, or retrofit roofing systems, allow building owners to replace their existing roof without the hassle or cost of removing the original roof first. 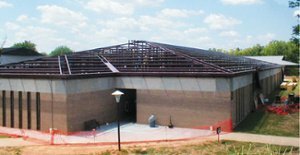 Consequently, roof over roof systems can be a cost-effective option for building owners who want the rewards and benefits of metal roofing while potentially saving some of the expense associated with roofing removal and disposal. Roof over roof systems can be used to add a metal roof over an existing metal roof, an existing shingles roof, or to convert an existing flat roof into an attractive steep slope roof. While metal roof over roof systems are not the only options available, based on our expertise, our focus will be on this product family. .
You can learn more about the advantages of metal roofing here. More and more building owners, as well as homeowners, are recognizing the benefits of metal and opting for a long-term solution to replace their worn-out roofs. 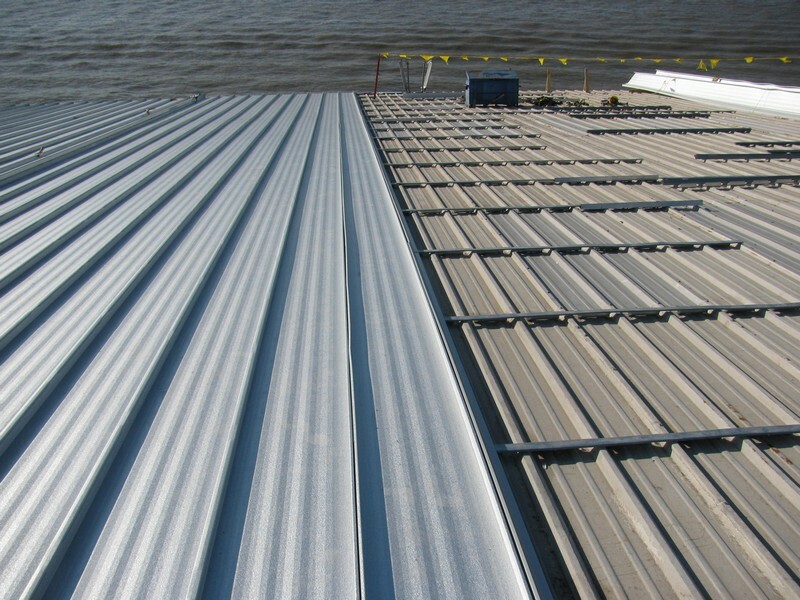 McElroy Metal offers a number of roof over roof systems to help building owners find the right system for their building. 138T Shingle Recover – This system can be installed directly over existing shingles and delivers energy-saving Above Sheathing Ventilation (ASV), making the system a terrific choice for both commercial and residential projects. 238T Metal-Over-Metal Recover – This option features a symmetrical 238T standing seam panel and is proven to last two to four times longer than single-ply recover. Low Slope to Steep Slope – We also offer retrofit assemblies that are easy to erect and are a great way to convert worn out flat roofs into functional and highly attractive steep slope roofs. These three options allow building owners multiple paths to experience the many benefits of metal roofing. You can learn more about the roof recover options available to you, their advantages, and options in our new eBook Tired of Replacing Your Shingle Roof? Metal-Over-Shingle Recover System Offers a Long-Term Solutions with Cost-Saving Benefits. Follow the link below to learn more about the longevity, durability, and environmental advantages of metal roofing over shingles.